This little darling Dreamsicle leads the pep rally everytime. 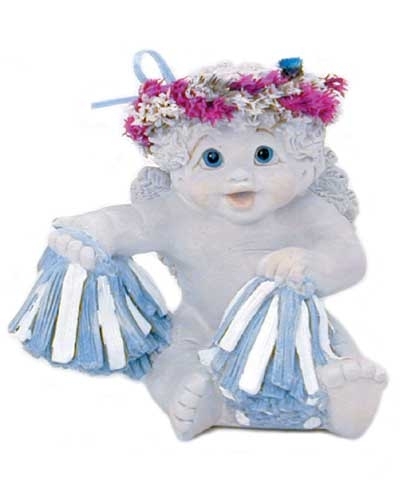 She has a dried flower halo and pink ribbon in her hair and carries blue and white poms. She is 3-1/8" tall.